This is a Cover. It is dated ca. 1900 and we acquired it in 1989. 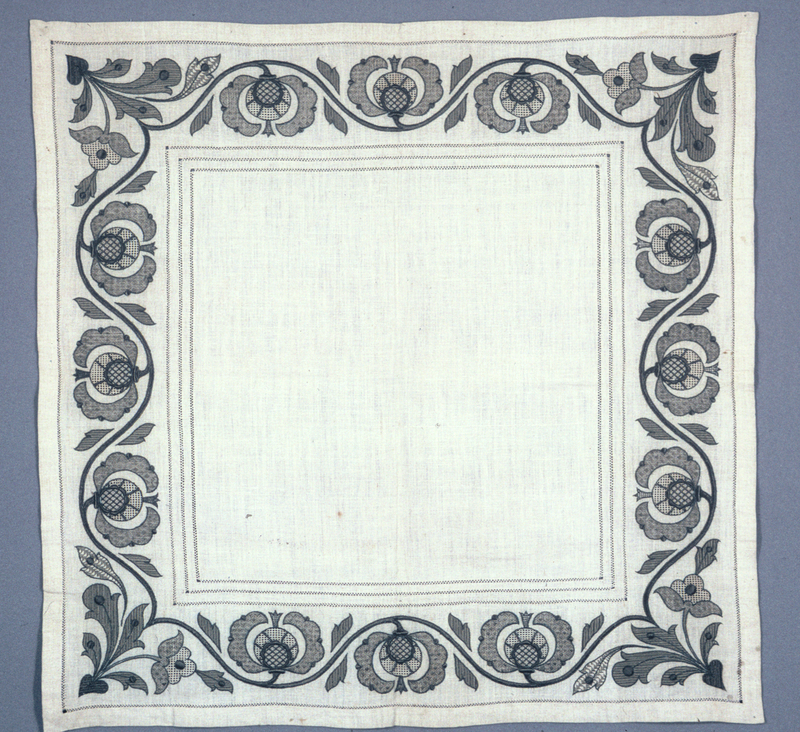 Its technique is embroidered on plain weave foundation with stem, satin, padded satin, buttonhole, and filling stitches; concentric squares of withdrawn element work. It is a part of the Textiles department. This object was donated by Mrs. John F. Cole and catalogued by Gillian Moss. It is credited Gift of Mrs. John F. Cole in memory of her mother, Margaret Kostolany.